Each year, my colleagues in Frontier Co-op’s purchasing department travel the globe to source herbs, spices, and essential oils — ensuring not just quality, but that our products are produced in ways that are good for growers and the planet. Sourcing from more than 50 countries gives us a global perspective on sustainability. And we’re firmly rooted in Eastern-Iowa farm country as well. So when we were approached recently to sign on as one of the first members of the Iowa Sustainable Business Forum, a brand-new coalition of Iowa companies looking to tackle sustainability issues, it was only natural for us to join. I recently had the chance to attend the Forum’s kick-off event, which was taking place just down the road from our headquarters in Norway, Iowa. It was inspiring to arrive and see that nearly 20 other Iowa companies also prioritized sustainability enough to be there. As I got acquainted with the others, I realized that Frontier is part of a community of companies making progress toward more sustainable business practices — from responsible sourcing to recycling to protecting bees to conserving water — right here in our Midwestern backyard. It was also gratifying to see the diversity of Iowa businesses that are working on sustainability issues. These include a small community bank as well as a multi-national financial services company, and our own natural and organic products co-operative and more mainstream food and agribusiness companies. Some businesses are just beginning their sustainability journey, while others have been focusing on the issues for years. But across the board, there was a genuine interest in making business more sustainable and an openness to sharing successful approaches with others. I’ve been working on business sustainability for a while but I’m still a newcomer to Iowa, so to get a better perspective on Iowa’s issues and this group, I talked with Adam Hammes, an Iowa native who has played a lead role in getting the Iowa Sustainable Business Forum off the ground. The genesis for the forum, Adam told me, came when he was working on sustainability issues for a major Iowa company and having adhoc get-togethers with like-minded people from other local businesses. The group was informal but saw real value in sharing sustainability successes and challenges. 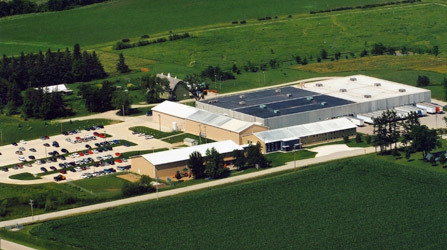 Eventually, Adam collaborated with Iowa State University to do a broad survey of Iowa businesses, including Frontier Co-op, and found that others in the state also wanted to be part of a sustainable business conversation. That set the Sustainable Business Forum in motion. I asked Adam what he felt a group of Iowa-based companies could add to the global conversation on sustainable business. His answer was simple but thoughtful: we need local solutions to global problems. This rings true to the experience that Frontier Co-op has had over the years in initiatives for reducing waste reduction, increasing renewable energy and supporting the local community. Our challenges are often similar to those facing others around the world, but the resources we harness to address them need to be found right here at home. I left the first Sustainable Business Forum event with a pocketful of business cards of kindred spirits from other local companies who I intend to follow up with to gain their insights, and I’m excited for the Forum’s next meeting. Over the years, Frontier has taken many steps forward to make our business good for people and the planet, but we certainly haven’t found all the solutions. We look forward to learning from our Iowa neighbors and working together with them through the Iowa Sustainable Business Forum to find those local solutions to our global problems. About the Author: Leveraging 15 years of on-the-ground experience in sustainable global supply chains — including two years working for Fair Trade in rural India — Seth Petchers leads Frontier Co-op’s efforts to deepen its sustainable sourcing and operations programs. He’s developing initiatives to further support socially and environmentally responsible suppliers; strengthen and expand Frontier’s pioneering Well Earth sourcing program; and reduce the company’s environmental footprint. Wake up your palate and expand your cooking repertoire with spices you may not have experienced before. 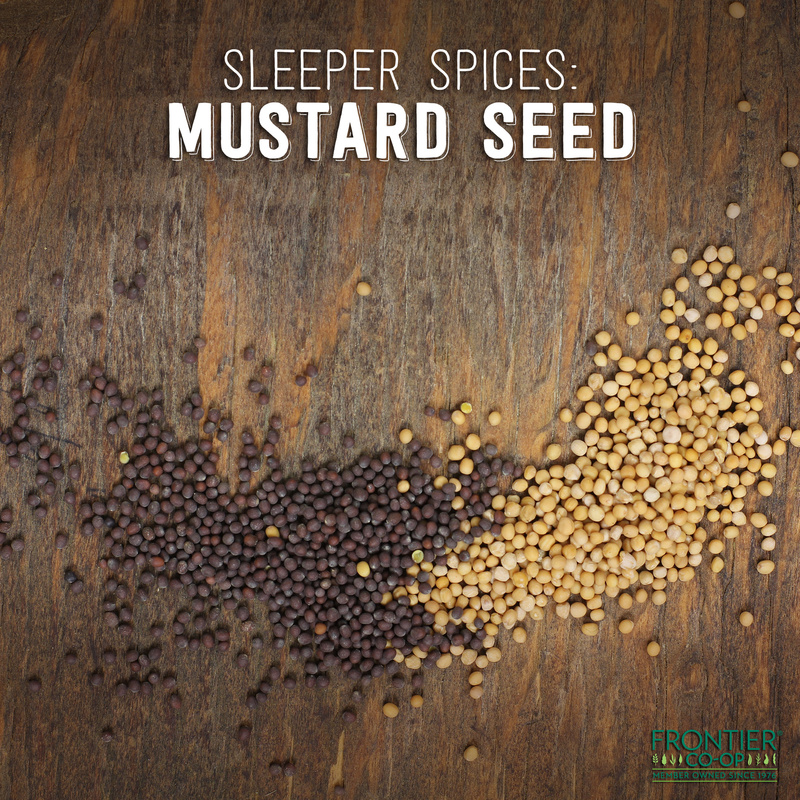 In this installment of our series highlighting “sleeper” spices, learn about the unique seasoning capabilities of brown and yellow mustard seed — and get tips for using it to awaken your next cooking endeavor. What it tastes like: You’re likely familiar with mustard from its use as a condiment on sandwiches, but using the seeds in whole or ground form as a spice will open up exciting new flavors for you to experience. In their inert state, mustard seeds have a rich, nutty, oily flavor. But when combined with a liquid, watch out! An enzyme in the seed reacts with other compounds called glucosinolates to create a complex of flavors including hot-pungent, vegetal and garlicky. The more heated and acidic the liquid, the hotter the mustard will be. What it looks like: Mustard seed comes in three basic varieties: black, brown and yellow. Brown and yellow mustards are the most commonly used, with the brown being a bit more pungent than the yellow. The seeds are tiny, nearly perfect 1-milimeter spheres. How to use it: Many Indian dishes begin with whole mustard seeds fried in oil along with curry leaf. Besides imparting the oil — and every subsequent ingredient that passes through the oil — with a pungent mustardy flavor, the seeds themselves become a nutty, toothsome delight in the finished dish. The ground seeds form a slightly oily powder that’s the basis for the condiment mustard, but it can also be used in any powdered seasoning blend, marinade or dry seasoning rub. Add whole seeds to pickling brines and meat brines. Fry whole seeds in oil and then add them to rice before topping it with curry. Fry whole seeds in oil along with whole cumin seeds and add them to samosa or curry pot pie fillings. Grind seeds and combine with other seasonings in dry rubs for grilled meats and tofu. Grind seeds and make your own fresh mustard by stirring in plain water, wine, fruit juice or vinegar. Have you ever tried mustard seed? Share what you thought of it in the comments below! 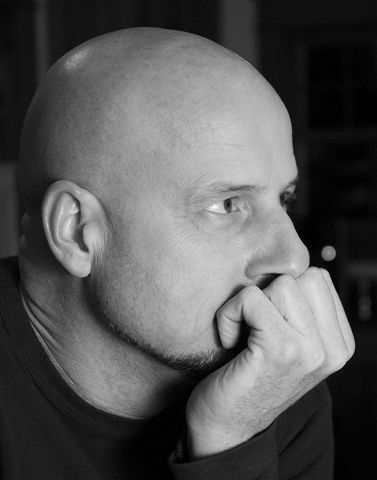 ​My organic living “Aha!” moment ​was when I first discovered the quality of organic food. I am fortunate to have grown up eating meals that were prepared using fresh ingredients, rather than canned and frozen foods. I served, in a way, as sous chef to my mother in the kitchen as I became old enough to do so. I can’t snap beans, toss a salad or shuck corn without being reminded of doing so for the many years I lived in Syracuse, New York, with my family. 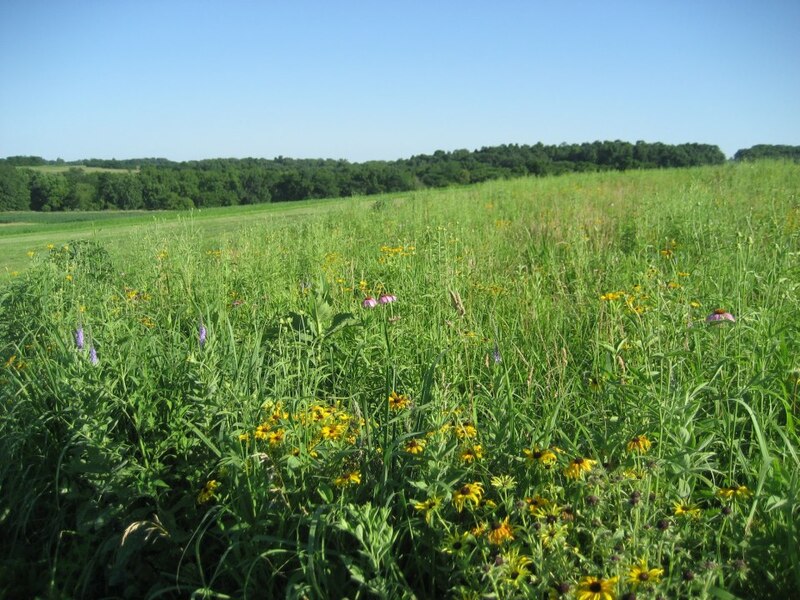 Our dream farm has a lovely view of the Iowa countryside and gives us new opportunities to explore the value of organic growing. But despite having been raised on freshly prepared meals, I wasn’t raised on organic foods. While I was a young foodie in college, my interest in, and eventual commitment to, eating organic foods didn’t surface until a friend joined the New Pioneer Co-op in Iowa City, and I went there with her. The food I saw on the shelves and the many farmers stopping in to deliver organic vegetables, fruit, flowers, eggs, etc., piqued my interest in organics. Wake up your palate and expand your cooking repertoire with spices you may not have experienced before. In this installment of our series highlighting “sleeper” spices, learn about the unique seasoning capabilities of mace — and get tips for using it to awaken your next cooking endeavor. What it tastes like: Mace and nutmeg are derived from the same fruit of the same tree (Myristica frangrans). The aroma and flavor of mace recall nutmeg, but mace is a bit more delicate and ethereal. Birthdays, weddings, graduations, holidays — most of us have calendars peppered with major events to celebrate throughout the year. But for every one of these calendar-worthy events, there are many more modest, everyday milestones and accomplishments that deserve celebrating too. They’re the little things behind the big things, and finding simple, fun ways to acknowledge them cheers us, motivates us and develops our sense of gratitude. 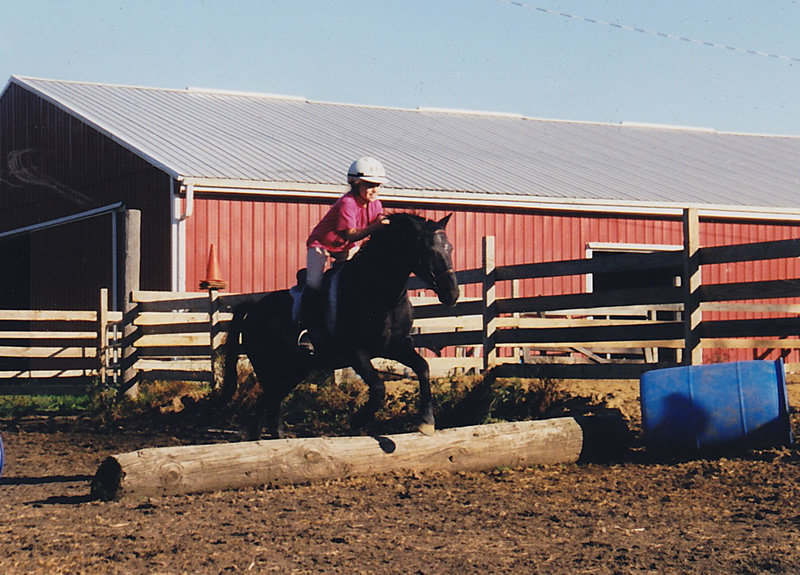 My daughter Emma taking her first jump in horseback riding was cause for celebration in our home. The secret ingredient that makes every recipe better is a story. In this installment of our Secret Ingredients series, Grandma’s poppy seed bread recipe bakes into a loaf full of sweet, buttery nostalgia. Ever since I was a young girl, going to Grandma’s and Grandpa’s house has always been a treasured time. I remember their house was always stocked with bubble gum and smelled of spiced gum drops — a kid’s dream. And, I knew if I asked nicely (which I always did), Grandma would make me a small loaf of her light and fluffy poppy seed bread. This melt-in-your-mouth bread has long been a staple dessert for my family’s gatherings. 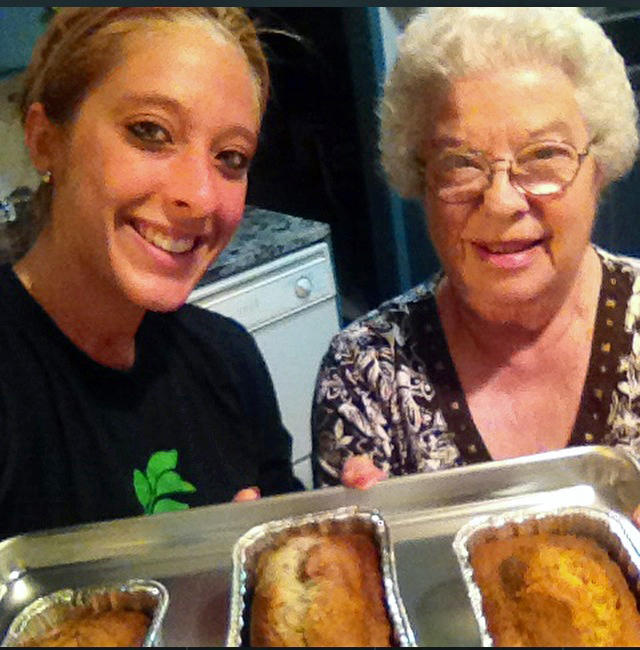 I recently convinced Grandma to bake a few loaves of her poppy seed bread to inspire this story. I was hooked after my first bite nearly 20 years ago. There’s just something about that bread that makes me feel warm inside. The crunchy texture of the poppy seeds complements the buttery bread perfectly. I had never had poppy seed bread before trying Grandma’s, but now I crave it. Not that we weren’t served dessert at home growing up, but Grandma’s sweets were always just a little more special — and this bread is no exception. The recipe is tucked away in Grandma’s cookbook — but highlighted, starred and bookmarked for easy access because it’s so good and addicting! It’s so popular my grandma continues to make personal mini-loaves for everyone in the family every time we get together, even to this day. Grandma’s perfect poppy seed bread is surprisingly simple. There are no unique or secret ingredients, other than the nostalgia I feel every time I taste it. The only true surprise is to open up the tin foil-wrapped loaf to see if she brushed her signature hot orange glaze sauce on top, which makes the best bread ever taste even better. The sweet, citrusy glaze acts as a coating, wrapping the delicate bread in a sugary cocoon. She doesn’t add the glaze (also known as the sweet nectar of gods) often, but when she does, it’s an extra-special treat. Shepherds Pie — one of six delicious new Simply Organic recipes to help Reclaim the Casserole and turn it into a more wholesome and satisfying meal. During the cold winter months in Iowa, my family tends to hibernate, only coming out when we have to. This means I get a little homesick since we don’t often make the short drive over the river and through the woods to Grandma’s house (sorry, I couldn’t help it!). This leaves me craving some of my childhood favorites to fill the void and keep my heart happy. Since my extended family has faced health issues in the past year, I’m rethinking what my family eats again. I’ve been working on tinkering with some of the not-so-healthy ingredients in our favorite casseroles so that I can breathe new life — and nutrition — into them. Whether you want to sneak more nutrition into a favorite dish or simply make weeknight meal planning a little easier, turn to these tips to make healthy casseroles and other comfort food favorites! The bowl game experience isn’t exactly all about eating naturally and well. The game is packed with commercials for less-than-healthy foodstuffs, and watching it triggers a feeding frenzy on snacks and party food that are often laden with chemical preservatives, colorings and flavorings. How can someone who wants to eat well take part in this grand sports holiday? Swap unhealthy chips for baked root vegetable chips.